What is not to love about a building named the Cattle Bank? 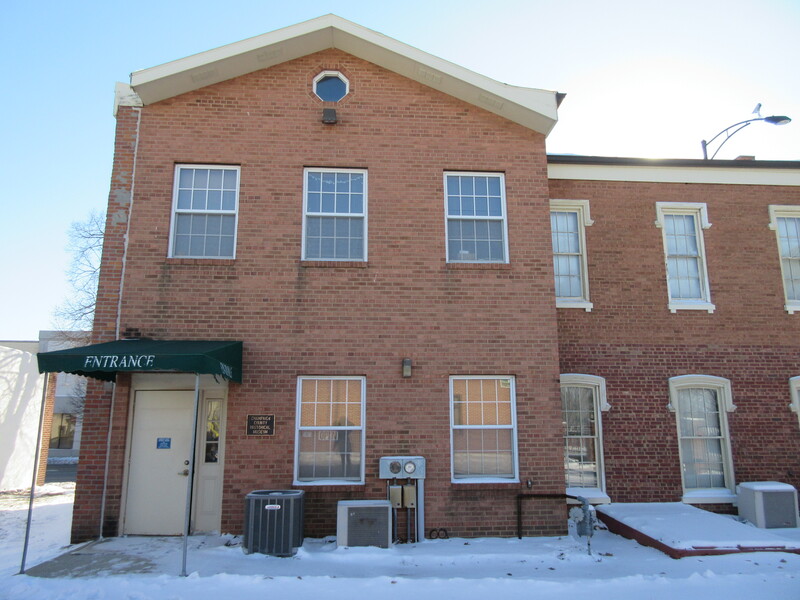 The Champaign County Historical Museum is housed in a building called the Cattle bank because it was once a bank and our guide shared that the building that was built in the late 1850s began as a branch of the Grand Prairie Bank, which was Urban, Champaign’s sister city. At the time Champaign was the southern terminus of a railroad line to Chicago and this was where cattle raisers from the surrounding area drove their cattle to ship to the Chicago market. After a fire in 1971 the building was almost torn down, but thankfully deemed worth saving and was placed on the Natioal Register of Historic Places. In addition, they also added the adjacent building and together they both serve as the museum. 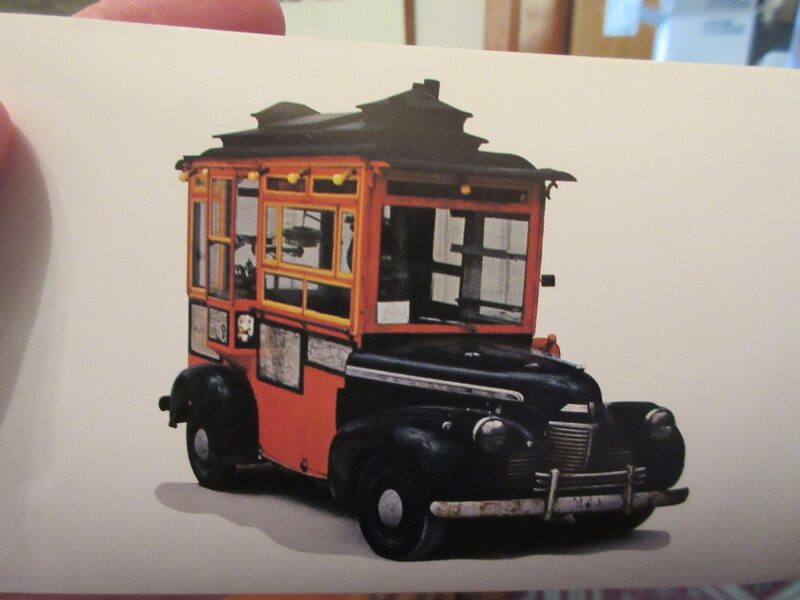 We were in Champaign to go to a toy show and I wrangled a visit to the museum with my husband Keith first when I learned the amazing history of the 1919 popcorn truck that they own. Sadly this amazing truck that they take out and pop corn in at local events is moth balled during the winter season, but the rest of the museum offered up some neat history so the visit was worthwhile. 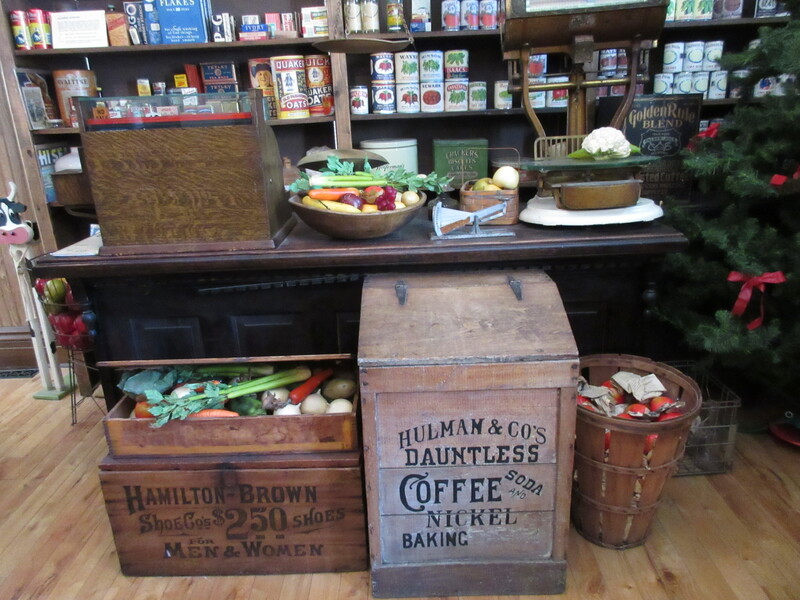 The first room we saw during our tour was the replica of the 20th century grocery store that was recreated to represent the one located in the building after the bank closed. The store has a lot of lovely wood and is filled with neat items like an original typewriter and a turn-of-the-century stove. 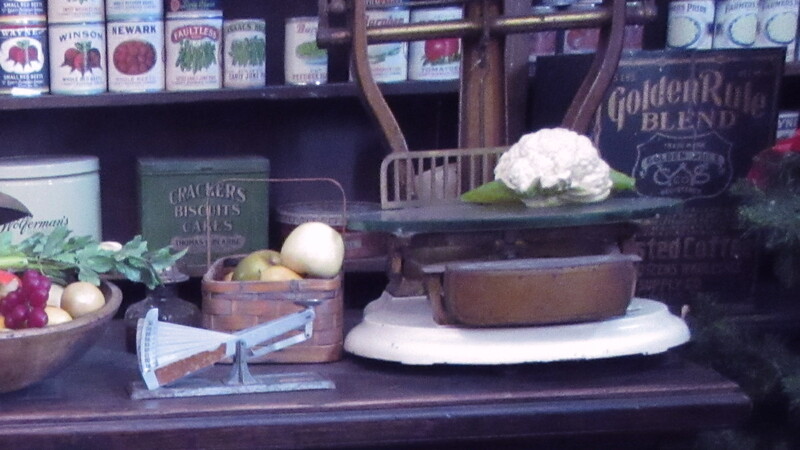 The store also includes a very neat old scales and a beautiful wooden ice box. Shelves are stacked with items that might have been found on early 20th century shelves. Lovely clothing is on display in the room next door but my favorite piece of clothing to see was an outfit belonging to one of my favorite musical artists of all time, Alison Krauss, a famous blue grass singer that hails from Champaign. 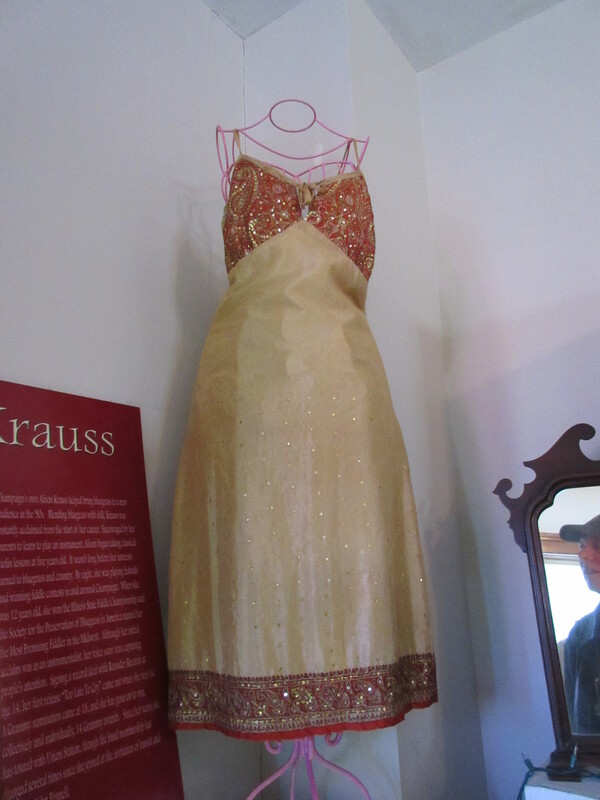 The outfit denotes an early award that Krauss won. Like many historical museums, they have military history with some special items. For me as a mother of a son, the one that really hit home was the World War II Airforce uniform on display. This leather jacket and pants with the wool collar and cuffs were to keep the young men from freezing at high altitudes. The owner of the uniform never made it back from a mission and his family donated his extra. 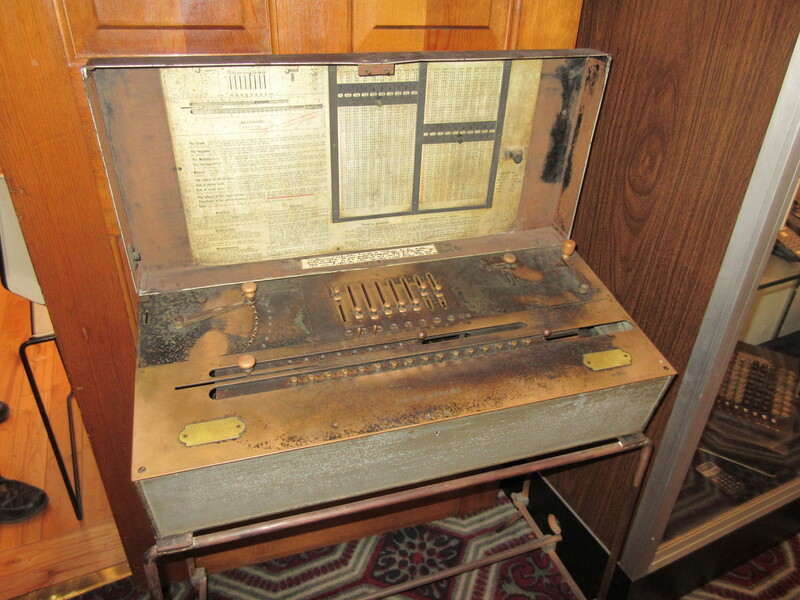 There was also a cool machine, the Millionaire Calculator which was the first machine capable of making direct multiplication. They were built between 1899 and 1935. Only 4,655 handmade machines were built and the machine was donated by the University of Illinois. The museum also had some interesting early toys and I had fun seeing the displays put on by local high school students and their idea of “really old” items. I am afraid they would think I am rather ancient, but if I recall back then anyone or anything 30 or more is quite elderly! For more information about this charming museum, log onto http://champaignmuseum.org/.